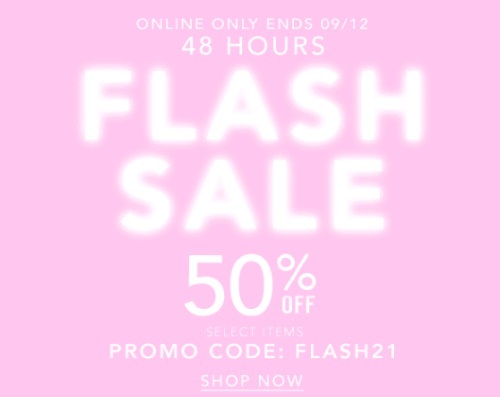 Forever 21 has a Flash Sale on now! Save an extra 50% off select items with the promo code below! Enter the promo code FLASH21 at checkout. Offer is valid online only until Monday, September 12 at 11:59pm PST.